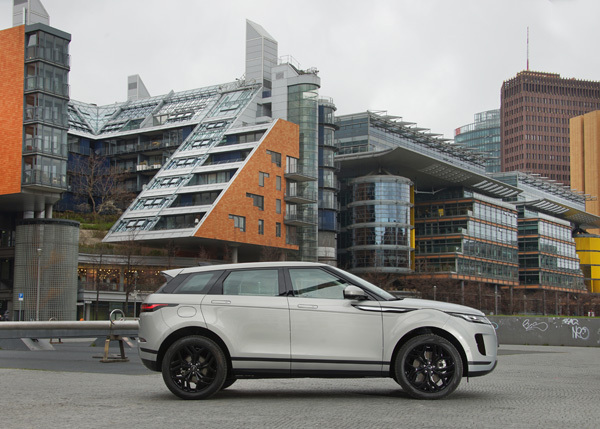 Berlin gave the new Range Rover Evoque a big welcome as the small luxury SUV goes on sale this weekend. 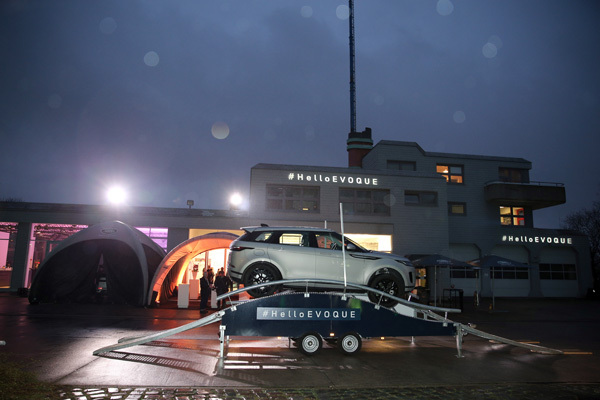 A large crowd, including a number of celebrities and members of the media, were on hand to celebrate the arrival of the second generation Evoque ahead of it going officially on sale in Germany. 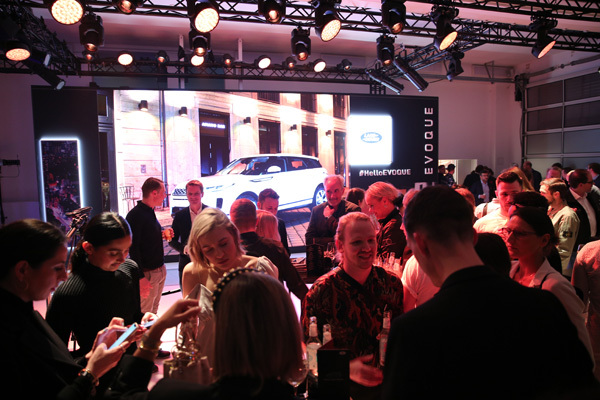 Actress and TV star Janin Ullmann was the host on the night with DJ Wana Limar on hand to entertain the crowds alongside the waterfront at the Bridge Studios, but it was the new Evoque that was the star of the show. 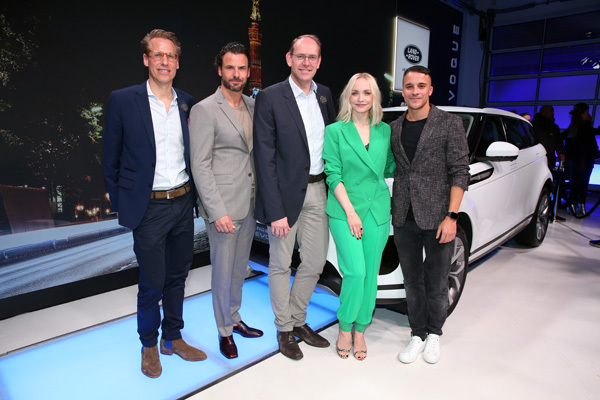 Driven onto the stage in front of an expectant crowd by brand ambassadors Kostja Ullmann and Stephan Luca, the new Range Rover became the main attraction of the evening. “For me, it is the most beautiful SUV on the market, and the perfect combination of city suitability and strong performance. 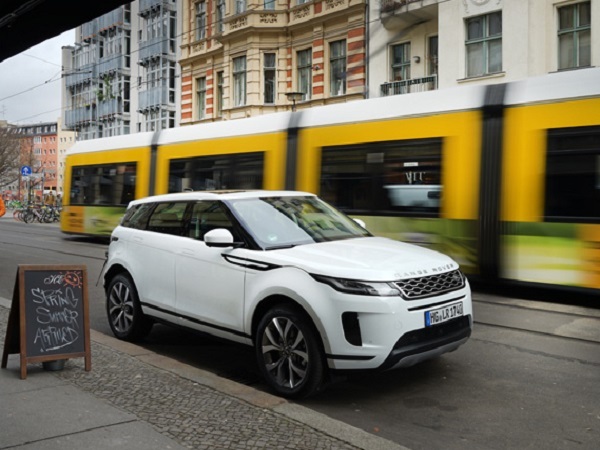 Kostja and the German public won’t have to wait long to order their new Range Rover Evoque as it goes on sale on 6 April.